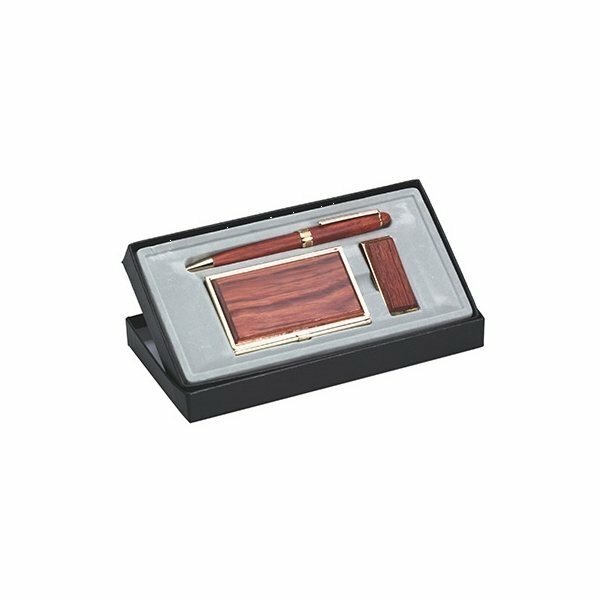 Natural wood pen, money clip and business card holder. Great quality for the price!Pleasantly surprised. They are great. Our logo printed superbly. I am certain my staff will love them. Very satisfied with this item.During my diner's anniversary, I gave these away to patrons.